“Cree” in Spanish means you (formal) believe or she / he believes. In the imperative mood or command form, “cree” can also present the demand that one believe, as in “Do not despair, but believe!” It is also the Shoulder to Shoulder acronym for our education mission, Centro Regional para Excelencia en Education or the Regional Center for Educational Excellence. Believing is critical to the development of a sound and meaningful education system. Imparting knowledge demands that the individual meant to receive the knowledge believe in the value of the knowledge. It is this belief that allows for the reception of knowledge, and it is this same belief that allows an individual to use this knowledge for the benefit of her/himself, others, the community, and ultimately the world. We ask everyone involved, everyone who will shoulder this mission with us, to believe in the possibilities and potentials inherent in an education of excellence. In Honduras and on the Frontera, public education suffers a lack of resources. Children often attend school only through the sixth grade, then often “graduate” unable to read or write or add and subtract. Young girls, without hope born of opportunities, succumb to peer pressure and become pregnant. Poor education and teen pregnancy support cyclical, generational poverty. 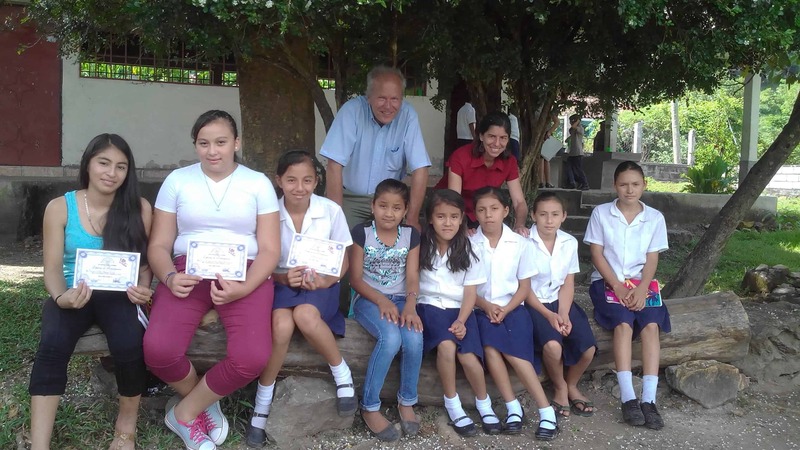 Shoulder to Shoulder responds to these endemic social problems by providing scholarships for young people to stay in school and the Yo Puedo program for fifth and sixth grade girls. Recently, Shoulder to Shoulder developed a formal, reasoned mission in education. In 2012, with Good Shepherd Catholic Community of Cincinnati, Shoulder to Shoulder founded a private, primary bilingual school. In 2014, the school became public, operated under partnership with the Secretary of Education, the Association of Municipalities on the Frontera of Intibuca (AMFI), and Shoulder to Shoulder. It is unique in Honduras, providing an accessible education of unparalleled quality. The Good Shepherd Bilingual School is the model for the mission in education. Working together, shoulder to shoulder, with the Secretary of Education, local municipal government, administrators, educators, parents, and students, Shoulder to Shoulder is now assisting public education in academic centers throughout the Frontera. Our vision is that primary and secondary education be accessible and of the highest quality. CREE believes this vision is reachable. At academic centers, we discern the obstacles they encounter in acheiving excellence and success. We work with the Department of Education in Intibuca, the Parent’s Association, and other stakeholders to implement a plan of action. Everyone is invested in the work. Charity without commitment yields unhealthy relationships of dependency. We continually evaluate our programs. Books here are expensive and rare, even in schools. We deploy computer based systems of learning, assisting teachers, engaging students, and rewarding individual advancement. The curriculum comes from learningequaility.org. “KAlite,” from Khan Academy, is independent of the internet (unreliable on the Frontera), employing a server, modem, and tablets for the students to access materials. This and other technology-based, pedagogical tools, yield access to grand stores of information and learning. Volunteers serve a critical role in assisting academic centers in acheiving excellence, assessing the success of programs, maintaining synergetic relationships, and promotion of the mission. We look to the schools to help us support volunteers in Honduras. We hope to bring more volunteers to be part of this exciting, transformative mission. If “it takes a village to raise a child,” perhaps it takes a world to realize an accessible, quality education system. Relationships with schools, primary, secondary, and university level, sustain motivation, providing methods and resources. Classrom relationships between children here and in the States unlock imaginations. Professional trainings, service group trips, and interchange programs secure progress. A ‘shoulder to shoulder’ journey in meaningful transformation for everyone. The problems of our world require disciplined thinkers to provide innovative solutions. What if, however, there is a child living in a remote isolated place like Intibuca, who never receives the foundational support of education? That child may have the potential to reverse global climate change or discover a cure for AIDS. But without a quality education, the potential remains unrealized. We are investing in the children of today to be the problem solvers of tomorrow. Early in 2017, we were approached by FIRST Global to organize a Honduran Robotics Team to compete at the first-evcer, annual, olympic style, robotics competition in Washington, DC in July 2017. We chose the team from high school students in Camasca and Concepcion, Intibuca. These young people, often lacking roads, water, and electricity, have never had such opportunities. But, they know how to meet challenges. It is an amazing undertaking, and this experience will open up doors of opportunity in their lifetimes, and in the lifetimes of their peers.